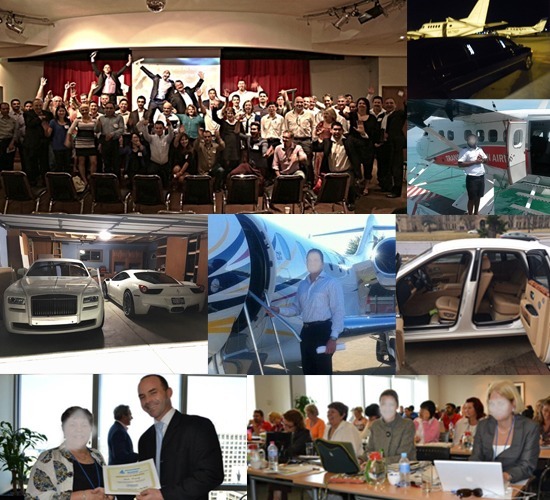 After successfully coaching many businesses and helping many owners achieve even more Success with a coaching and management consulting firm based in Australia, the business grew into providing larger scale trainings and events to cater for growing demands thanks to outstanding efforts and results, with the help of very satisfied customers providing referrals. Quickly the business also outgrew Australia and expanded in 5 countries and 3 continents in less than 18 months and continues to expand from there. Meant for Business is the platform created to cater to a larger range of businesses on a truly global basis. Meant for Business assists small and medium businesses all over the planet no matter what their lifecycle is. For start-ups and businesses still needing growth it enables the business to fill in major gaps usually found with their marketing (symptoms: no clients and no cash), their plans and foundations (symptoms: busy but broke, frustrated, fear, confusion and procrastination) and their financial knowledge (symptoms: no progress in wealth) in a very affordable and fast way from the comfort of their office/home. We do so in a very affordable manner. For the businesses which are already getting consistent revenues and have fixed the above issues, we usually help them to go to the next level faster and achieve more profits and more Freedom so they can get higher returns and a better lifestyle while getting out of operations. The challenges we tend to solve are lack of systems and processes (symptoms: busy, constant ‘urgent’ tasks, high staff turn around, over staffing, etc. ), team and leadership (symptoms: ‘we cannot get or keep good people’), profitability (symptoms: revenue increases but cash is tight or profits are not proportionally bigger) amongst others and help them to be challenged consistently at the highest level in a time efficient manner and access to other high level contacts to play a bigger game. Our outstanding reputation and results enable us to offer a very unique guarantee and we work for free if ever results do not come fast enough (see our full terms and conditions). Testimonials and proven success stories with specific figures come from all over the world with the words repeated over and over being practical, results, growth, profits, Freedom. Meant for Business supports a range of charitable activities with a percentage of revenue being given to support small business with interest free loans that get reinvested constantly and donations for businesses in developing countries mostly via the KIVA platform. Weekly short impactful content (very short videos for inspiration, execution/implementation request). Intro Stage ABCM4B from Fabrice Beillard on Vimeo. He once lost everything and had to re-start with credit card debt and used his proven principles to get back on his feet quickly and decided to share these with others and from there also started, owned, or partly owned, financed, a range of diverse businesses from night club in Hong Kong to Personal Development in Australia. Fabrice’s core value in life is Freedom and he and his team get inspired by helping others achieve their mission and vision, benefit the community at large, and help them create good financial results that turn into long term wealth.